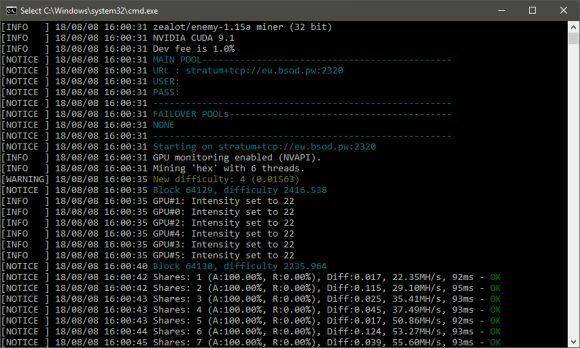 The latest zealot/enemy-1.15a (z-enemy) from Dk and Enemy was released soon after the previous version 1.14 was made publicly available and it brings more performance improvements as well as a support for a new mining algorithm. The hashrate has been further increased with about 1 to 5% for the following algorithms: X16, X17, HSR, Renesis, Xevan, Sonoa, Aergo, Poly, Phi1612. 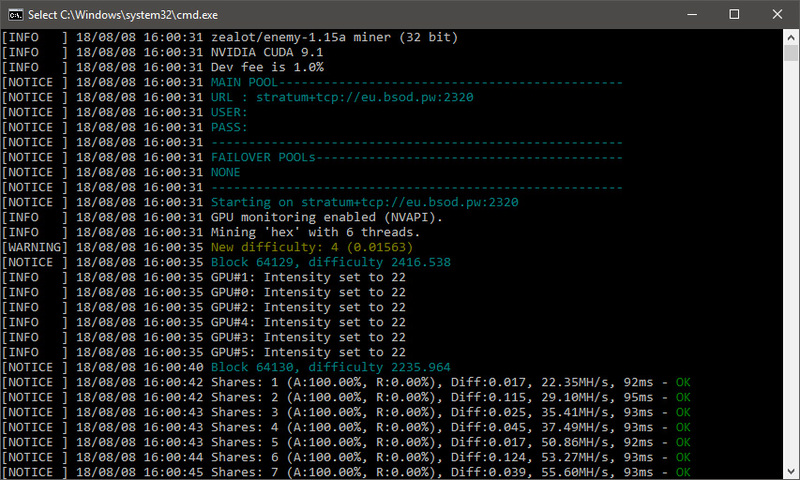 With these performance improvements z-enemy might once more be the fastest X16 miner out there, though for Renesis, another recently added algorithm the latest T-Rex miner is still faster in terms of performance. The new z-enemy 1.15 has also added support for the new HEX mining algorithm that has been announced just a few days ago as introduced by the XDNA project. The working principle of HEX is calculating the block hash with a pseudo-random sequence of 16 different algorithms (kernels): BLAKE / BMW / GROESTL / JH / KECCAK / SKEIN / LUFFA / CUBEHASH / SHAVITE / SIMD / ECHO / HAMSI / FUGUE / SHABAL / WHIRLPOOL / SHA2. The latest public release of z-enemy-1.15a has a fix for the difficulty and allows you to use maximum intensity of up to 25 in order to further increase the performance of HEX with another +7% to +15% if your GPUs can handle the extra load properly. If you are looking for new coins using new mining algorithms, then XDNA and HEX might be an interesting choice for you, though XDNA is actually not a new coin release, it has been available for a while, just the HEX algorithm is new.